PERFECT LOCATION IN TOWN! ONE BLOCK FROM WORTH AVE. 2BR/2BA TOWNHOUSE STYLE CONDO ON OCEAN BLOCK. LOVELY COURT YARD PATIO ENTRY WAY. LARGE BACK PORCH WITH HOT TUB, GENEROUS SIZED 2ND FLOOR MASTER SUITE. 173 Peruvian Avenue #3 located in Palm Beach, FL is a condo with 2 bedrooms, 2 full baths and 0 half baths.The Condo at 173 Peruvian Avenue #3 was built in 1989 in Peruvian Court and offers a 0 car garage. This Peruvian Court Condo offers bike - jog, sidewalk. 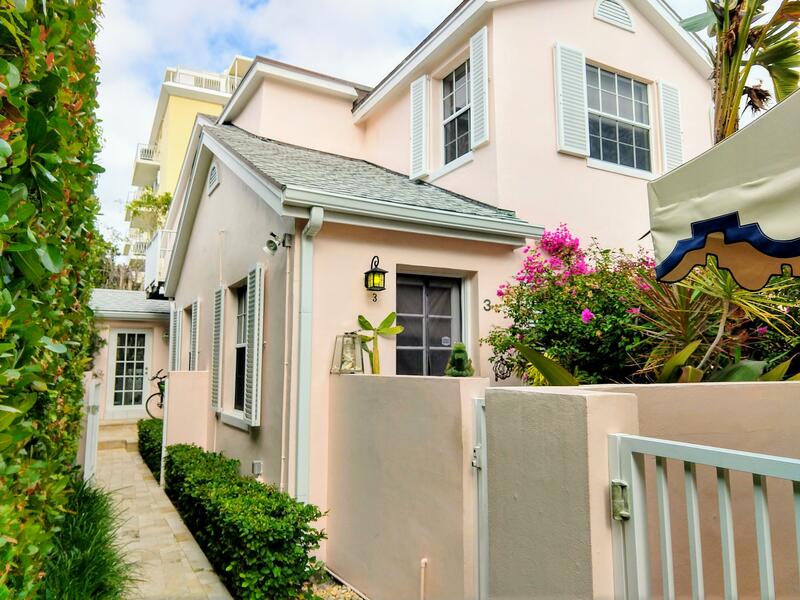 173 Peruvian Avenue #3 Palm Beach, Fl is currently listed for $969,000 under the MLS# RX-10498154. This Condo has been put on the Palm Beach MLS system and currently has a status of ACT. Peruvian Court in Palm Beach is really a wonderful community in a great city. If you like the beautiful Palm Beach location but you are not sure about this community. You might like one of the other local communities like Thirty-three Sixty or Three Fifty Condo or Lowell House or Eliot House or Tres Vidas that are located here. Information in regards to Palm Beach real estate and Peruvian Court Condos for sale or any other areas may have come from a cooperative data exchange service. All rights reserved. Information deemed to be reliable but not guaranteed. The data relating to real estate for sale on this website comes in part from the IDX Program of the Florida Regional MLS. Listing broker has attempted to offer accurate data, but buyers are advised to confirm all items. We provide all information about Palm Beach Condos for sale and Peruvian Court real estate and all other site listings as is with absolutely no warranties. This site will be monitored for 'scraping' and any use of search facilities of data on the site other than by a consumer looking to purchase real estate, is prohibited. Feel free to contact our agents to find a great Peruvian Court Palm Beach specialist.